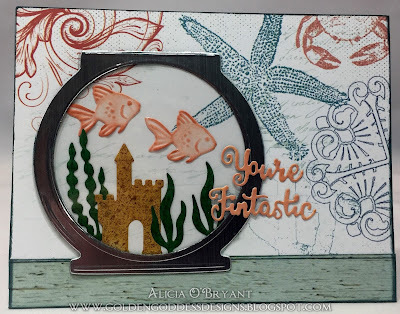 Blog Quick Quotes: You're Fintastic with Alicia! Alicia blogging today with a neat card. I created a fish bowl scene with dies. I paired them with some Adventure Awaits papers for a pretty scene. 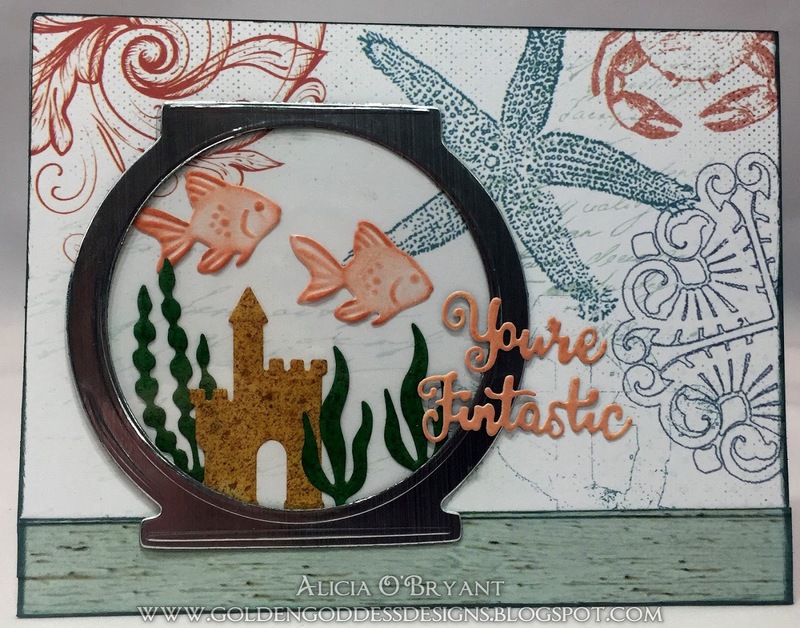 The sea life on this printed paper is perfect for the fish bowl scene. 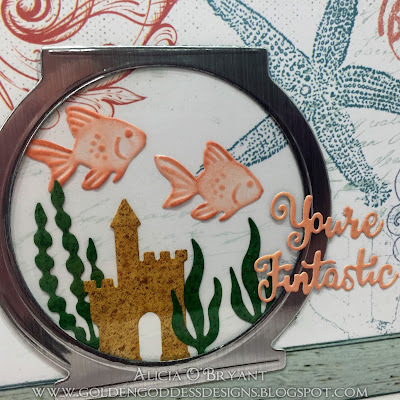 I heavily inked the die cut fish with Terra Cotta PowderPuff Chalk Ink to create shadow and dimension. I layered acetate between my "fish bowl" and the fish, castle and plants to look like glass.